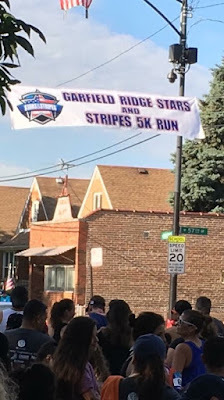 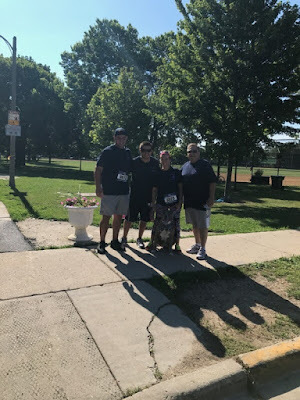 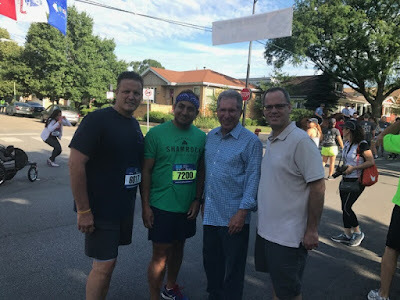 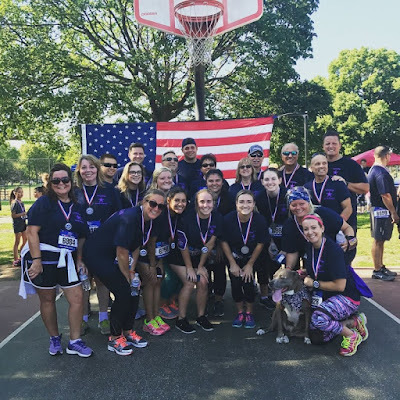 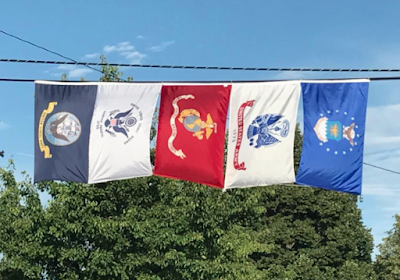 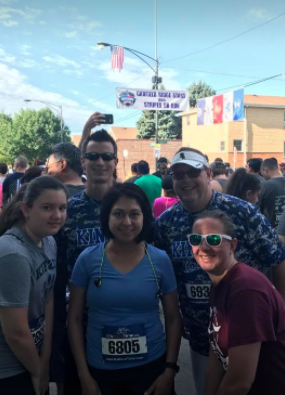 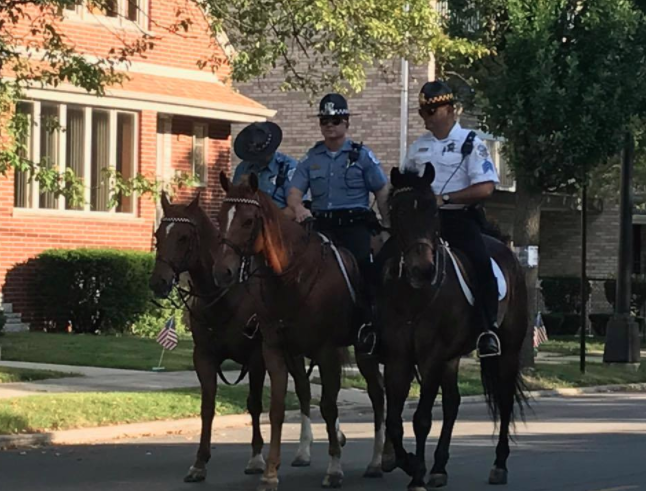 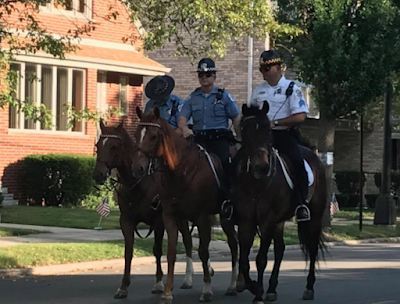 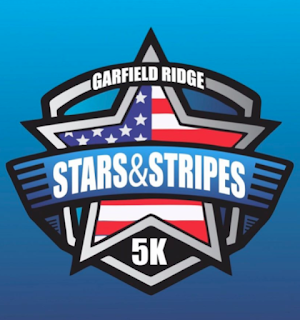 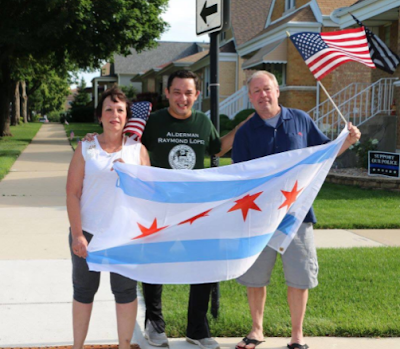 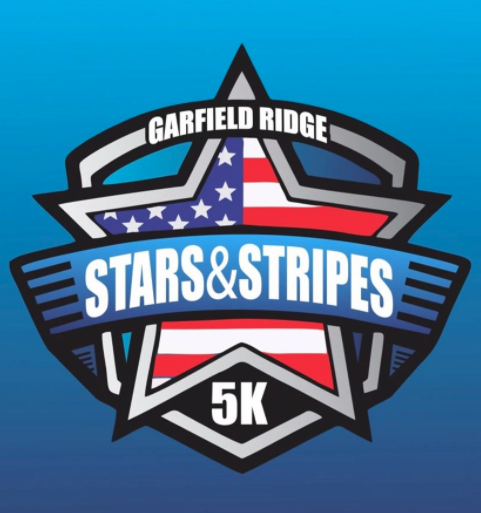 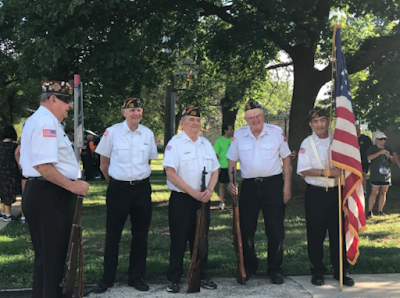 Smashing all expectations, the inaugural Garfield Ridge Stars & Stripes 5K Run appears to be a win-win for the neighborhood, as well as the surrounding Southwest Side area. About 600 runners and walkers--ages 6 to 70--turned out, mostly from the Southwest Side, but also from all across the Chicago area. The event attracted out-of-state runners from Virginia, Massachusetts and other places. 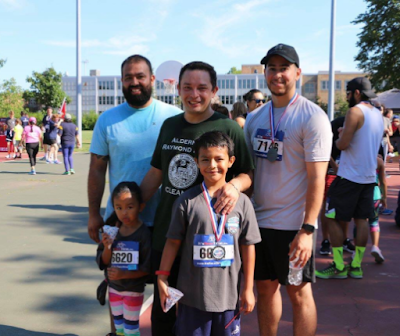 There were even runners from Sweden, Britain and Australia, according to West Lawn resident Juan Ortega, the official race coordinator. 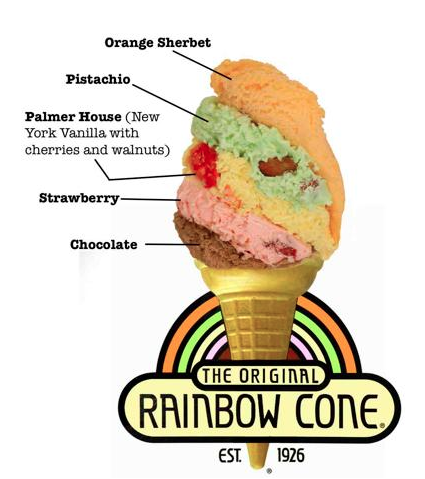 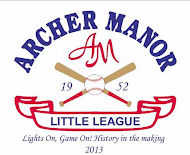 The race started at 8 a.m. Saturday, July 1--beginning and ending at Wentworth Park, 57th and Narragansett. "When we first started planning the race, we went out and got a feel for the neighborhood and where we would be running. 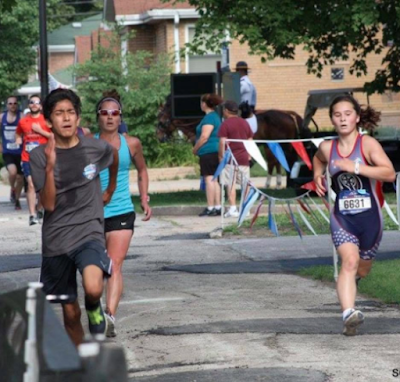 I knew I wanted 300 runners minimum, but in my heart of hearts I was hoping for 500 to 600," Ortega said. He added, "For a first time event, you usually don't come up with 400 to 500 runners. 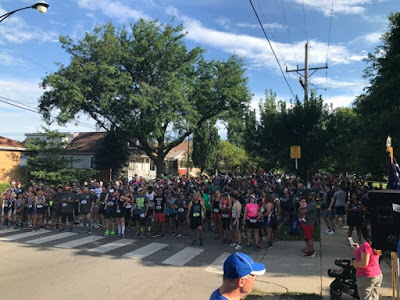 To come up with this number of people is awesome. It's a great thing." 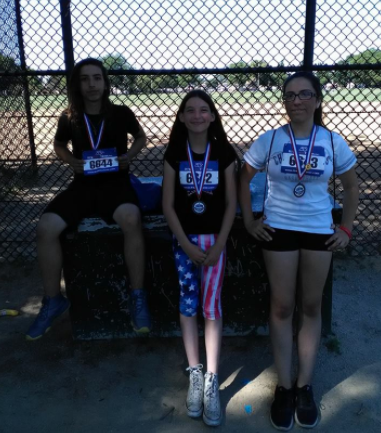 The entire event was a product of Tri-Builders, a non-profit youth triathlon team that since its founding in 2013 has worked to encourage boys and girls to embrace physical fitness, said Ortega, a founder of the group, whose daughters—age 15 and 13—are members in the group. 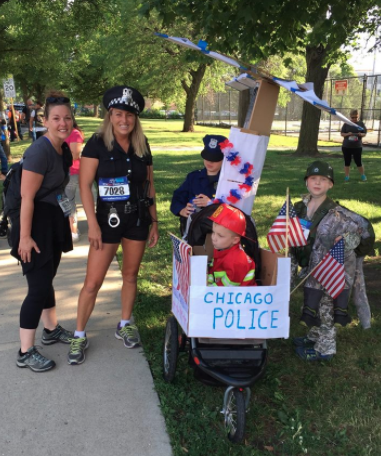 The run honored first responders, "It's a great event to honor men and women who wear the uniform. It's an opportunity for the community to come out for those who serve and protect, whether's it's city or country," Ortega said. 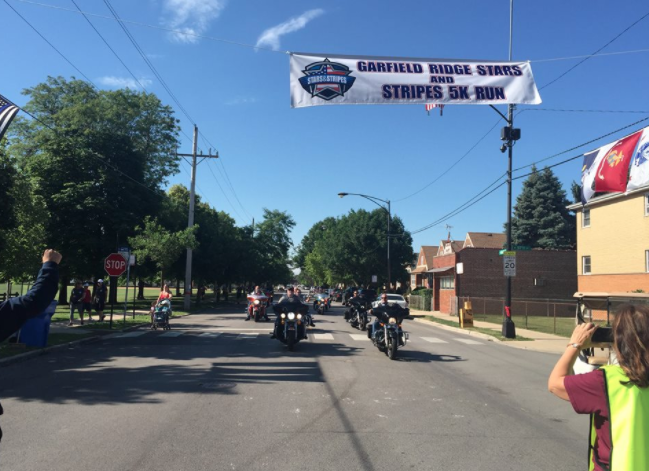 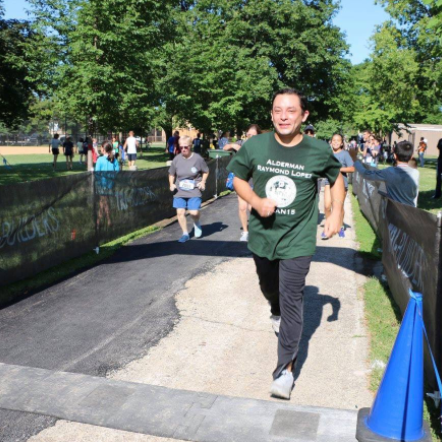 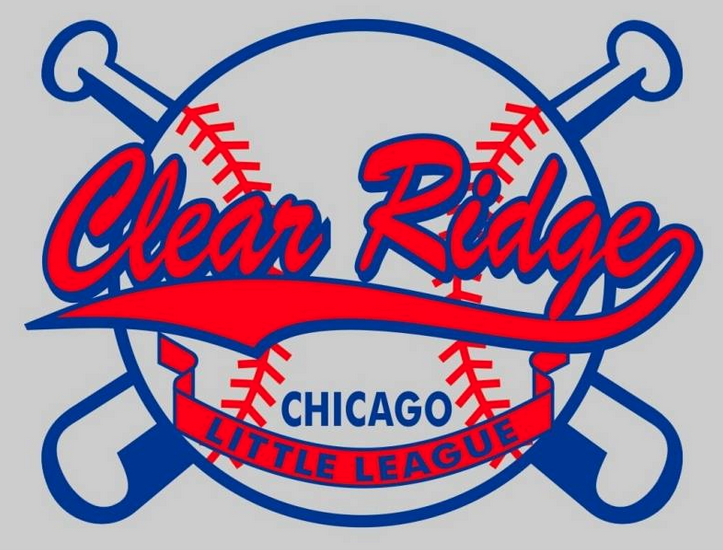 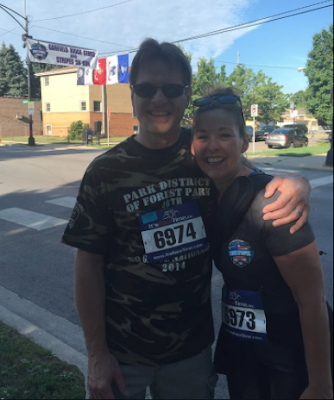 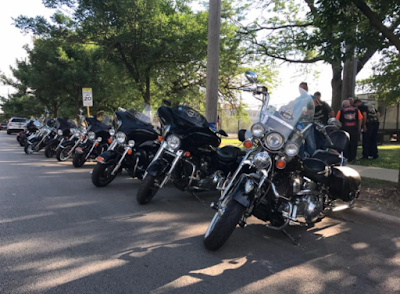 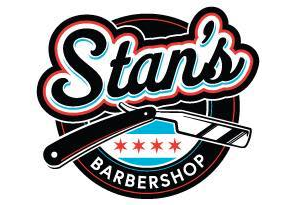 Proceeds from race will be split between The Wounded Warrior Project, The 100 Club of Chicago and The Chicago Police Memorial Foundation. 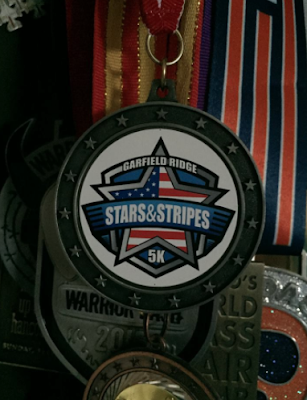 Those who could not attend the event are invited to visit runsignup.com/Race/IL/Chicago/StarsandStripesRun. There is a donate button, as well as a sign up button, said Ortega. 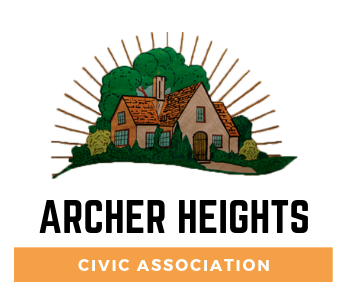 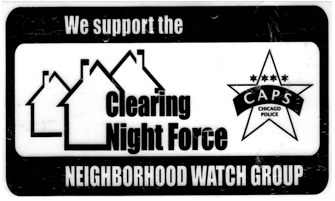 A key supporter of the event was the Garfield Ridge Neighborhood Watch. 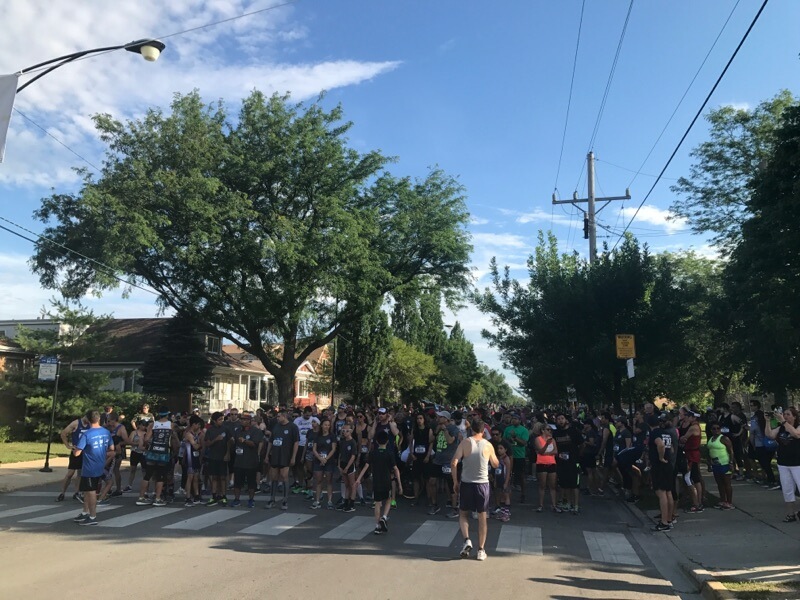 On Saturday afternoon, Cacciottolo described the race as "a success on every level." A number of the runners were police officers, firefighters and active-duty military. 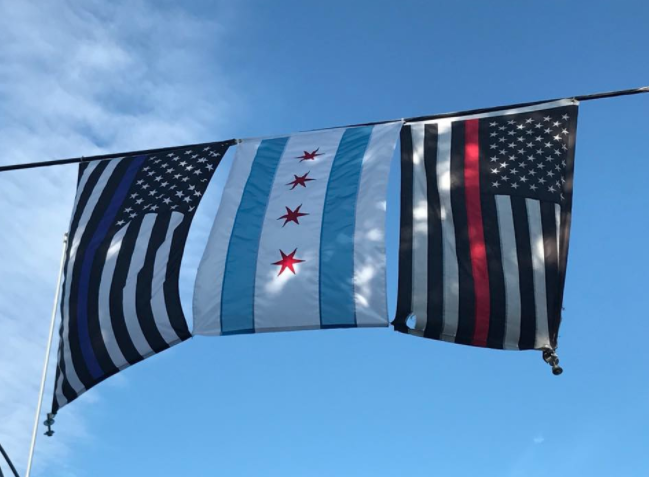 Below are a handful of photos, courtesy of Al Cacciottolo, Tri-Builders and others, posted publicly on local social media sites.